how to upload images to a form? having trouble adding images to my form. Any 'how to' info out there? 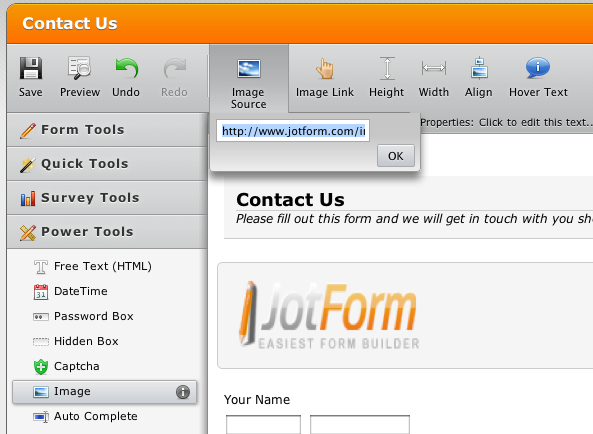 To add an image to your form, add "Image" field to your form under "Power Tools" toolbox on the right side. Then click on the default image and enter the URL of your image to "Image Source" button. Please see the screenshot below. We have just added this feature. You can now upload images to your forms.